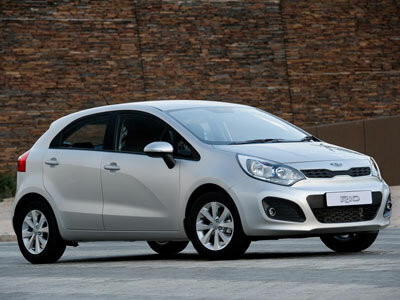 This new “B” class car from Kia was a finalist for car of the year 2013. A Porsche beat it. It is so good, and so much of an improvement on its predecessor. 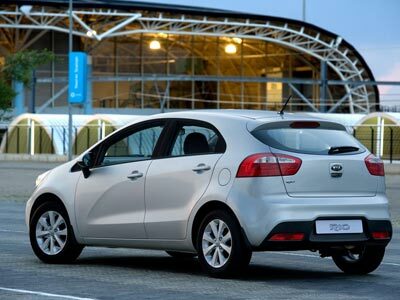 The Kia Rio 1.4Tec is a little luxury car, fitted as standard with all the goodies you could reasonably want with two omissions, more of later. The 1.4 normally aspirated multipoint fuel injected petrol engine produces 79kW and torque of 135Nm at 4 200rpm to take you to a top speed of 183km/h and a 0 – 100 sprint in 13.35 seconds. Kia claims a very low consumption of 6.4 litres/100km. I managed to get 6.4litres/100km in combined town and highway driving. My usual route is about 100km a day and includes a stretch on the N2, town driving and parking on the 8th floor of a parking garage. The interior of the Rio is superb. It comes with all the goodies you can expect as standard and all packaged in a great trim and finish. From leather multifunction steering wheel to climate controls, everything feels right. This new Kia matches, or beats the interiors of its direct competition. Included in the package are luxury big car items like automatic lights, wipers, rear parking sensors electrically operated side mirrors and windows and awesome LED running lights. The leg room at the back is good and the boot is generous. The Rio is a great looking car in both hatch and saloon iterations. The nose is more than pretty. On the road the Kia feels competent. I would have preferred one size smaller wheels I think, to improve the comfort of the ride. The steering which was iffy on previous Kias is much improved and is accurate. You do not notice it. That is a compliment. Acceleration at the coast is better than brisk. This new Kia is fun to drive. All the flaws in earlier Kia designs seems to have been fixed. Ride quality is not quite Ford Fiesta yet, but matches VW Polo I think and is better than Toyota’s Etude. I thought the omission of cruise control and hill start assist is unfortunate. I would have preferred them to for instance, park sensors. The bottom corners of the dash are quite high and could be a problem for a short person. Possible competition includes the Suzuki Swift, VW Polo, Ford Fiesta, Hyundai Accent and the Toyota Yaris. Overall a very good package and hard to beat. Price of the 1.4 Tec hatch as tested R177 995, which includes park sensors, auto lights and wipers, climate control and audio system. Its automatic sibling is R187 995. The range starts at R144 995 for the 1.2 manual. Includes 4 year 60 000km service plan and a 5 year 100 000km warranty. 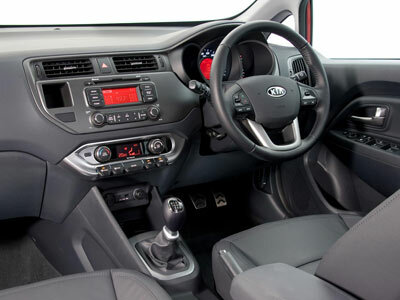 This entry was posted in Reviews and tagged 1.4 Tec, 2013, kia, manual, Review, Rio, South Africa. Bookmark the permalink.